As a hunting enthusiast, you are likely aware of the fact that you can only go as far as your legs carry you when out in the rough. In short, a good pair of hunting boots should rank high on your list of priorities, before heading out to any gaming expeditions and for good reasons. A good pair of boots can ultimately determine how successful your hunting experience is, meaning it shouldn’t really matter how much you part with at the end of the day. Luckily, you’ve got an infinite array of quality boots to choose from in the niche, but there are solid reasons why The Original MuckBoots Adult FieldBlazer Hunting Boot, stand out from the crowd. Let’s have an in-depth look at why this is the case. As usual, we start out by reviewing the boots’ features, prior to considering the pros and cons and answering a few of your questions. Enjoy! Gaming with a hunting boot lacking quality traction is as good as hunting with a blunt knife – makes no sense at all. The MuckBoots FieldBlazers, however, pack high-quality, slip-resistant rubber outsoles that provide superb traction regardless of how slippery your surface may be. This is one probably one of its most prominent features and the primary reason why they are ranked among the safest boots for hunters. Most hunting boots focus so much on foot safety and as good as this may seem, the result is airtight boots that lack sufficient air circulation linings to allow your legs to breathe. These boots, though, come with breathable air-mesh linings made from the premium fiber material, alongside an exclusive flex-foam layer. 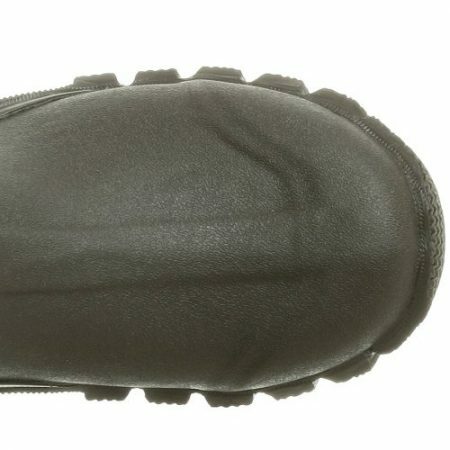 In a nutshell, you not only get a pair of hunting kicks that effectively mitigate moisture build up, but more importantly deliver sufficient airflow regardless of how unpredictable the weather gets – a plus if you tend to sweat a lot. You obviously want a pair of boots that can handle any terrain you tackle and if that’s the case, you want the Original MuckBoots Adult FieldBlazer Hunting Boot. These beasts offer optimum protection from the worst conditions, meaning you are well taken care of in the mud, snow, swamp or slush ahead. In fact, they even allow you to track through freezing conditions of up to – 20 Degrees Fahrenheit – just so you know. If the tons of protection features are anything to go by, this is just as safe as it gets for hunters. For starters, you get a neat shank reinforcement feature coupled with a reinforced Achilles support panel for optimal support of course. 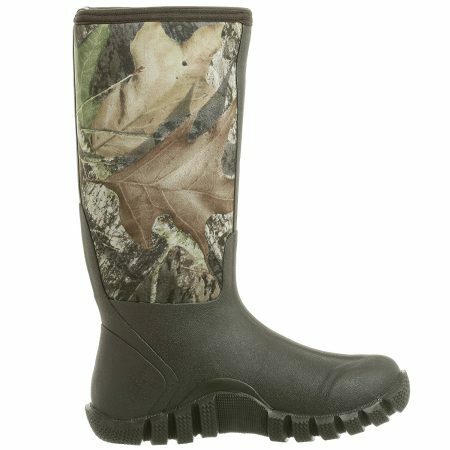 Moreover, the FieldBlazers boast quality wrap-up toe bumpers to protect hunters from scuffing. The best part, though, is all these features won’t take a toll on the wearer thanks to the lightweight vulcanized rubber material it’s made from. In a nutshell, you get lightweight, abrasion-resistant boots, built to last. Built to handle the roughest terrains. Offer great comfort levels regardless of distance traveled. Keep feet warm in freezing temperatures. 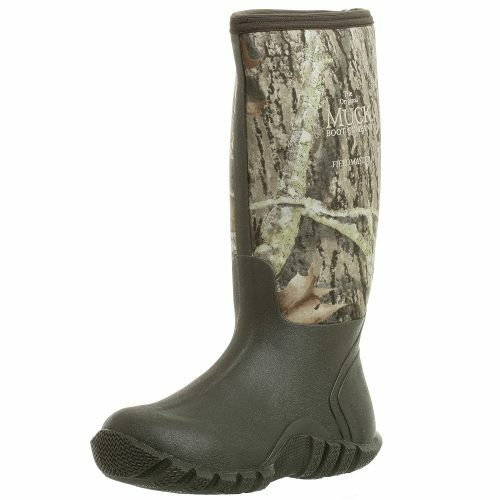 Lightweight, yet durable hunting boots. Can be used for any outdoor activity. Kick-rim feature makes it easy to wear or take them off. Lack snake-proof features to deflect bites. Quite expensive for hunters on a tight budget. 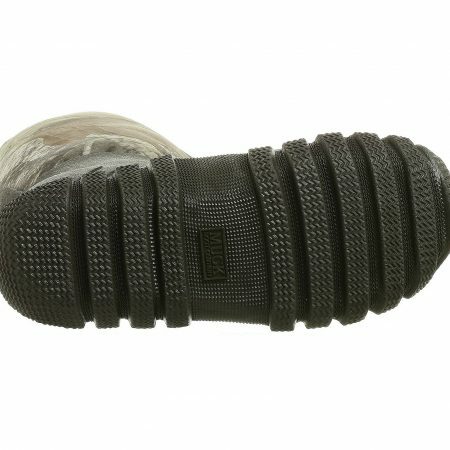 Wrap-up toe bumper for optimal protection against scuffing. Shank reinforcement feature for enhanced foot support. Cool, breathable air-mesh lining to deliver sufficient aeration. Stretch-fit topline binding snugs on the calf to lock in warmth and keep the cold out. Kick rim feature for simplistic removal. Q. 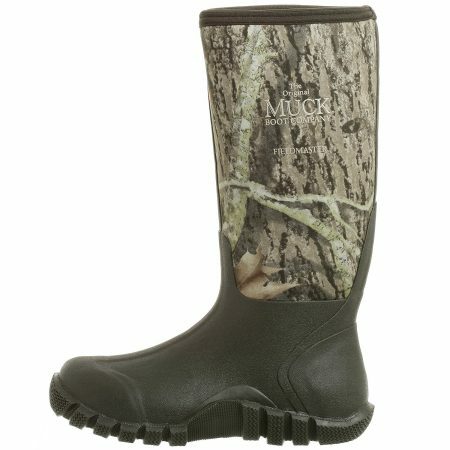 Are the MuckBoots FieldBlazers Unisex? A. Yes, they are. They also come in an array of design and colors to complement your taste or preference. Q. Are these boots ideal for freezing conditions? A. Yes. These boots are made from high quality NEOPRENE material, which allows them to tackle freezing weather conditions and keep your feet warm while at it. Q. Do you have to wear thick socks with these boots? A. It will ultimately depend on the weather conditions in your region. If you are planning on using the boots in low, freezing temperatures, wearing thick socks would certainly be in your best interest. Overall, it’s not that hard to see why The Original MuckBoots Adult FieldBlazer Hunting Boots rank among the best in the niche. They are extremely light, durable and more importantly, safe. Unless you are looking for hiking boots, these are high-quality boots that can be used for just about any outdoor activating ranging from fishing to hunting. If you are in the market for a quality pair of kicks for your gaming expedition, this is certainly a great start.